For making good cash by selling your motorcycle you should come to ThebikeBuyers.com. We are buying motorcycle for providing cash to our customers. Sometimes you think that your damaged or junked motorcycle is no more can be used for making money. You can sell your motorcycle here in any condition. We buy motorcycle without thinking about its condition. 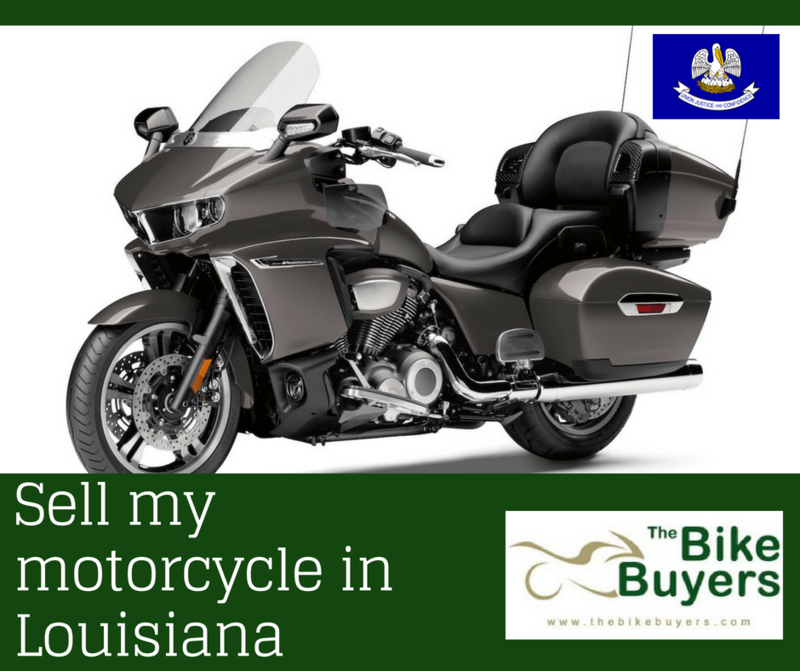 TheBikeBuyers are available in your city for providing cash for your motorcycle in Louisiana. Experience the service of largest buyer of motorcyclein the U.S.
By filing our Get a Quote form which is available on our website or by calling us on this number877.751.8019, you can enjoy our service. After filing our online form you will receive a phone call from our customer repetitive with in 24 hours of filling this from. Tell him the condition and asking price for your motorcycle. We will suggest you some offers, after deciding the price we will suggest the date for pick up your motorcycle. You will not charge for towing service. Experience the best USA motorcycle buyer’s service.